This was just what I needed today. I was finally alone at home - nice and quiet - and decided to treat myself with brunch before the kids were back from grandma's. It's one of my all-time favorite things to have for brunch. It's easy to make, but somehow feels exciting and special. 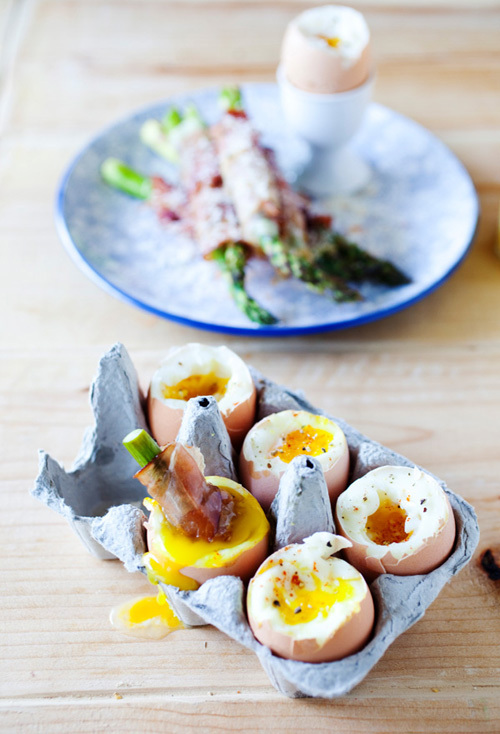 There is nothing better than dipping salty and meaty asparagus into a rich and tasty egg yolk. 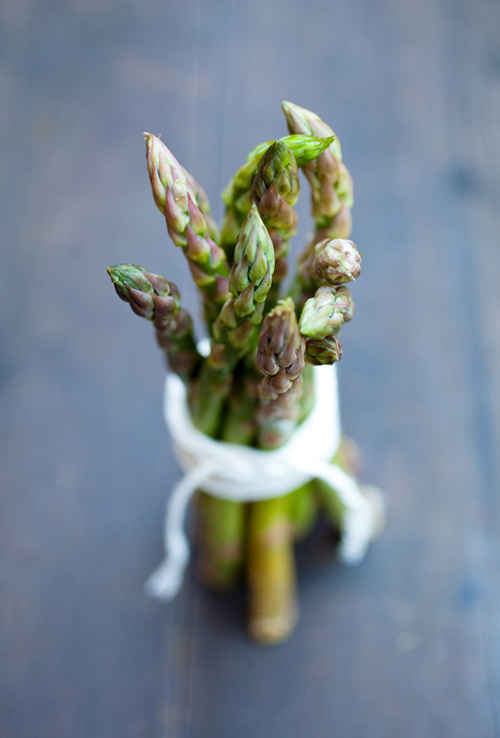 Wrap each asparagus with a slice of prosciutto and coat them with olive oil, salt and pepper. Bake them in the oven at 425 degrees for 10-15 minutes. 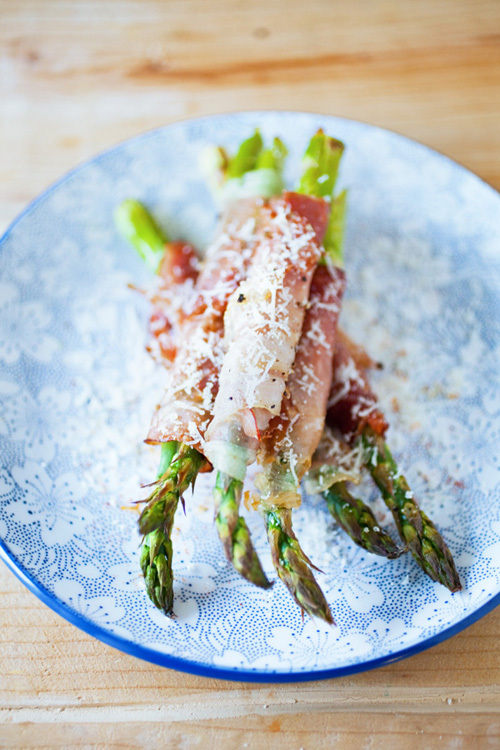 Bake longer if you prefer crispy prosciutto. Boil water and add a pinch of salt. 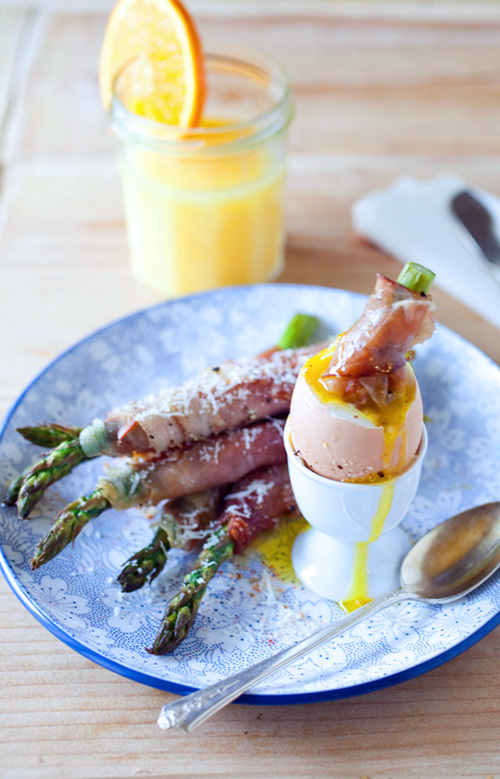 Boil eggs in hot water for 8 minutes. Take eggs out of the pan and cool with cold water.